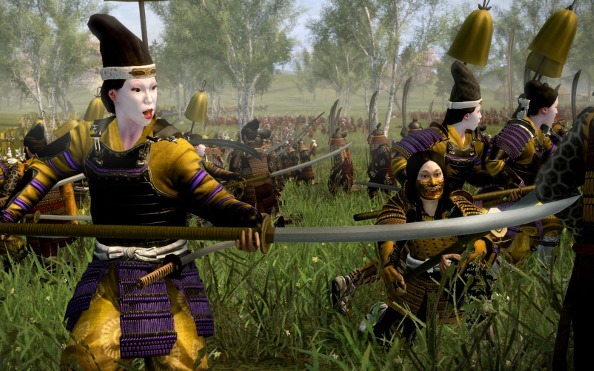 Creative Assembly have been very aggressive with DLC for the Total War series, and never more so than in the case of Total War: Shogun 2. Between unit packs, clan packs, new scenarios, and even a “blood pack”, there’s mountains of extra Shogun 2 content to choose from. So, let’s take a look at Shogun 2: Total War and look at all of its DLC, to help you find what’s worth your time, and what’s worth avoiding. Rise of the Samurai is Shogun 2’s first (and so far only) mini-campaign, and is set during 12th Century Japan during the ‘Gempai War’ – a conflict that dealt with the rise of the samurai as a ruling class and which resulted in the very first Shogunate. RotS may require the base game to play, but it’s completely self-contained, using its own version of the main campaign map, its own factions, and its own units. You get to choose between 6 ‘families’ – two for each of the three main warring clans – the Minamoto, the Taira, and the Fujiwara. Since each family has its own distinct traits, they act and play as ‘clans’ in their own right, and simply share similarities and allegiances with their fellow clan-member faction. With a new era, and new players, comes new units – Rise of the Samurai comes with 16 new land units that serve as precursors to what you get in the main game. Foot Samurai are small but powerful units as they are armed with both a bow and a sword, and they excel in both. You also get firebomb throwers, and a whole host of other weird and wonderful units. ‘Hero’ units are also included for the first time: from Naginata Warrior Monks to Onna Bushi Heroine (epic lady samurais on horses). There are also new naval units, abilities, and agents (although they mostly do the same things as agents in the base game). Finally, you also get a new historical battle – The Battle of Anegawa which was fought in 1570, and is one of the memorable battles in the period covered by the base game. This is not just a single-player expansion either, as much of the content (mainly units) can be used in online skirmishes and the multiplayer campaign. Verdict: At £5.99, this is a textbook example of premium DLC – it provides you with a whole new self-contained campaign, with everything that it needs to be entertaining. Definitely the more interesting of the two, the Ikko Ikki faction plays very differently from all the other clans. Historically, they were a group of peasant farmers who rose up against samurai rule during the 15th and 16th century, which is reflected in the clan’s play style. They have their own separate faith – the ‘Ikko’ faith (which is to represent the ‘True Pure Land’ sect of Buddhism that they followed), which only the Ikko themselves can spread, and because they are rebelling against the samurai they don’t have access to samurai units. Instead, they get ‘ronin’ variants – historically, ronin were simply masterless men and mercenaries, and in game this basically means more powerful stats, but reduced unit numbers. They also have their own skill tree, their own agent, and the pack comes with new retainers, armour sets, and a couple of units for the other clans to use as well. You can also fight the Nagashima historical battle, where the Ikko Ikki fought against the Oda clan. Verdict: The Ikko Ikki pack is definitely worth look. The Hattori were originally only available if you pre-ordered the Limited Edition of Shogun 2, but as has been CA’s trend lately, it was later released so that everyone had a chance to buy it. As such, the pack isn’t as ‘thought’ out as the earlier Ikko Ikki pack, as it was only ever meant to be an extra, as opposed to a DLC in its own right. Historically, the Hattori family were famous for various ninjutsu techniques that helped them deal a humiliating defeat to a rival army during the Sengoku Jidai. This specialism in ‘ninja’ techniques is reflected in the clan bonuses: Ninja actions have increased success, units can deploy anywhere in battle and Hattori generals start with the ‘Night Attack’ ability instantly. Apart from that though, there’s little to distinguish them from the other clans. The Pack itself comes with a special armour set for your avatar, a historical battle (Battle of Nagashino) and some XP to give your avatar a boost. Anyone who’s played as the Shimazu a lot will remember steam-rolling over the Otomo fairly easily, but actually playing as them is more interesting as it appears. In a nutshell, the Otomo are themed on those clans that were more welcoming of western influence and religion, specifically the Portuguese. The Otomo can recruit gunpowder units cheaper, and get religious conversion bonuses to name but a few traits. The Otomo clan also have four unique land units, and one unique sea unit, as well as a unique build tree that substitutes for the Chapel building. The most interesting thing about the Otomo is their ‘Land-lease’ ability, where they can give an empty build slot in a city over to the Portuguese who use it for whatever they want – in return, the Otomo gain large amounts of money. Verdict: Like the Ikko-Ikki, the Otomo have more character to them as a clan. Definitely worth picking up if you favour progression over traditionalism. Named after the period In history that the main game covers (Sengoku Jidai roughly translates into “The Age of the Country at War”), this pack contains ten new units, one for each of the available clans in the base game (The Uesugi and Ikko Ikki share one). 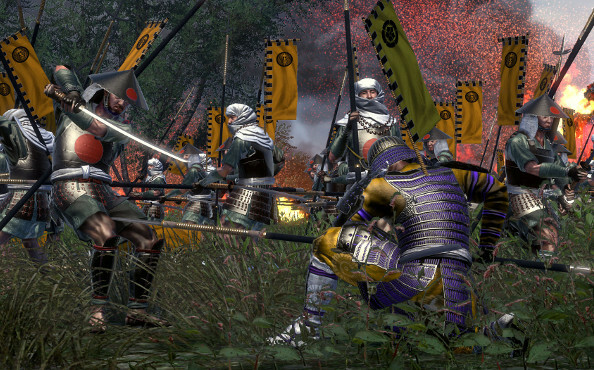 These units range from foot soldiers to hand gunners, warrior monks to mounted samurai. 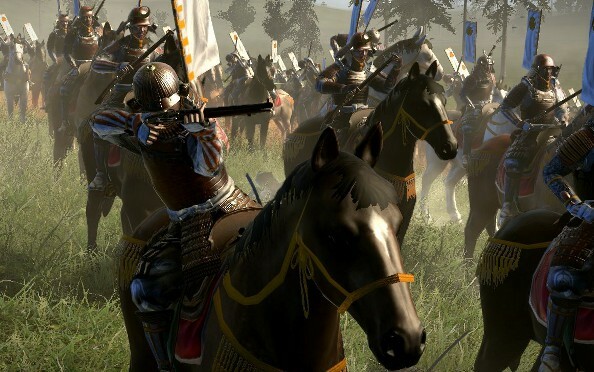 All of these units are available in multiplayer, provided you capture the correct province in the online-campaign map, and the requirements for unlocking them during the single-player campaign varies from unit to unit. Verdict: Good, but not great. The Sengoku Jida pack only nets you one new unit per faction, and while each individual unit is interesting, the pack is so spread-out it doesn’t feel like it makes a big difference. 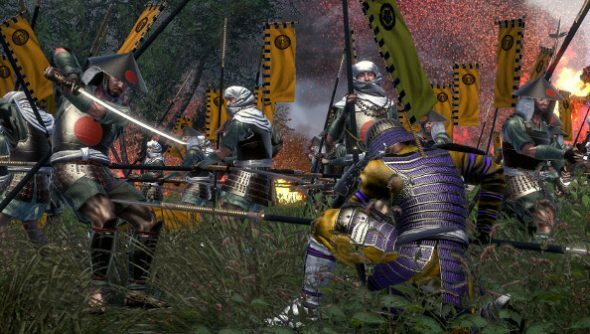 The latest DLC pack from the Creative Assembly Factory, Saints and Heroes is a more flexible unit pack than the Sengoku Jidai pack released almost a year previous. Only nine new units this time, but each unit is available to every factions, and can be used in both single-player and multiplayer. The new ‘hero’ units are essentially stronger, albeit smaller, variants of existing units – for example the Kiyomasa’s katana cavalry is simply a stronger katana cavalry unit, Tokitaka’s tanegashima is a stronger matchlock unit, and so on. There are some visual differences to help them stand out though, although they are more subtle. Verdict: Again, it’s a nice package and inexpensive. If you want a bunch more units to play with, this is a good purchase. 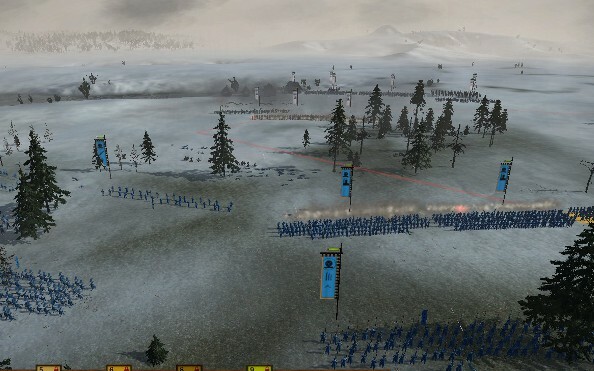 There’s not much to say about this one – it adds in blood effects to a Total War game for the first time, and is probably how they get around age-rating niggles at launch, as you don’t ‘have’ to buy it. Everything from decapitation and limb-severing, to blood splatter on the camera if you’re zoomed in. Verdict: Worth it. Even if you don’t care about gore etc… it’s a lot of added entertainment for only a £1! Not technically speaking DLC, not only is Fall of the Samurai a standalone product (like Napoleon, except it’s there was less hand-waving and cover-ups this time), but it even got its own boxed retail release as well. Still, it deserves a mention because it’s still connected to Shogun 2, and it came with its own set of DLC, which would be hard to talk about without talking about the main game. Set 400 years after the time period of Shogun II, Fall of the Samurai covers one of Japan’s defining moments – the Meji Restoration (Japans first major step into becoming a modernised global power). It offers a completely different gaming experience. The campaign map has been altered, with the landscape changing slightly and the northern Island of Ezo being included properly. 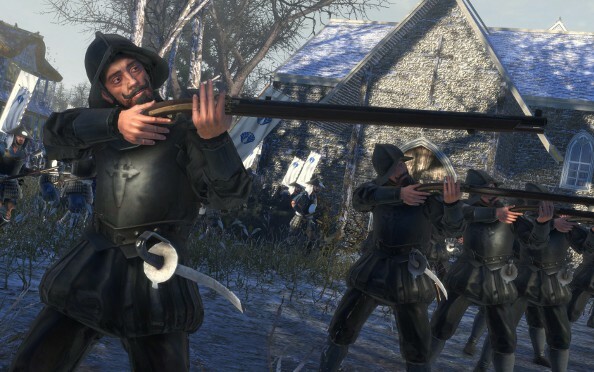 There are new units (39 in total), which incorporate the more modern firearms being used in the 1860’s, although there are plenty of melee units as well. You have a total of six (seven if you bought through Steam) factions to choose from, split between the Pro-Emperor and the Pro-Shogunate faction, and everything from clan management, to naval warfare, to agents and even multiplayer has been changed. In short, it’s a full-bodied, full-featured expansion like the days of old. Verdict: Worth it. Despite being a ‘stand-alone’ expansion, at £24.99 you’re essentially buying a new (albeit slightly cheap) game. 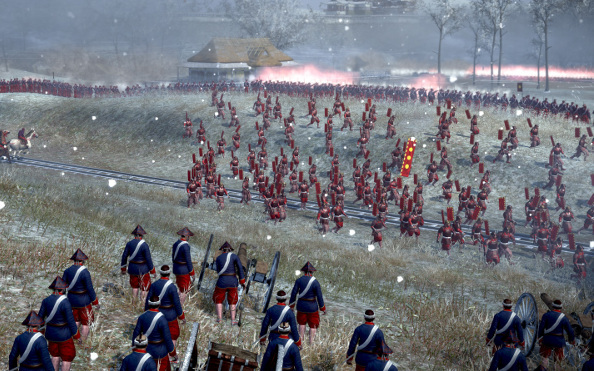 If you liked Empire’s Napoleonic-style combat, then this will be an excellent blast from the past. An Imperial faction, the Tsu are an enigma. Despite being aligned to the modernisers, their bonuses allow them to field powerful ninja units, which is something you see Shogunate factions do more often. Choosing to play as the Tsu gives you added melee defence, more ninjas, cheaper ninja action, and quicker allegiance conversion. The Obama, a Shogunate faction clan and the ancestors of President Obama (not really) are masters of government and administration, and their clan bonuses reflect this – if you play of these guys you’ll have cheaper upkeep on armies, better income and be better in defending during sieges. The Saga are loyal to the Emperor, and start off with the benefit of already having trade established with Western powers. They’re also modern and industrious, so choosing this faction will give you more accurate artillery, cheaper recruitment costs and improved growth from industrial buildings. The Sendai are another Shogunate faction, and are shrewd diplomats and negotiators. Playing as these guys will give you a boost to diplomatic relations, and reduces penalties when it comes to new conquests being differently aligned, and resistance to occupation. Verdict: Overpriced and underwhelming. £2.99 a pop is pretty steep for something that ultimately adds nothing new to the game. The Dragon War Battle pack is solely to historical battles. The six new battles the key exploits of Saigo Takamori and his army as they fought in the name of the emperor during the Boshin War, and range from simple lands battles, to sieges, to naval engagements. Here’s the problem: these six battles are the same six that come with the Fall of the Samurai expansion. Verdict: It’s only worth it if you don’t own Fall of the Samurai, and actually care enough about Historical battles to want more of them. At £2.39, there’s hardly a question of value, so it’s swings and roundabouts really. Really, the trick is to wait for a Steam sale, and then just pick everything up cheap. Outside of that there are still some pieces worth acquiring even at full price. Ultimately, with each piece of DLC, Creative Assembly learns what we want. 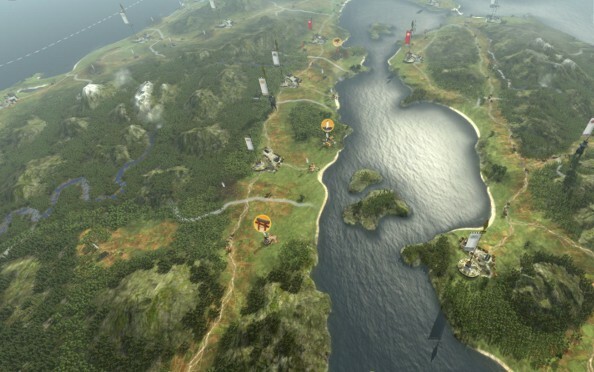 Hopefully for Rome 2 we’ll see the next evolution of Total War DLC, and more consistent quality.